With its rich automotive history, Genesee County is one area where the appreciation and passion for high-performance, visually-pleasing, head-turning vehicles is unmistakable. Many spend evenings and weekends tinkering with cars in garages, barns, and driveways on a quest to make them uniquely their own, adding a personal touch to whatever they drive. Lance Lamson belongs in that category, to put it mildly. That’s because what the Swartz Creek man, his cousin Kyle Uhelski, and college friend Kurtis Morris have been working on, first in a two-car garage at the home of Lamson’s father and then a polebarn on his own property, for the past five years goes well beyond grabbing a toolbox, lifting up a hood or crawling underneath a car and going to work. 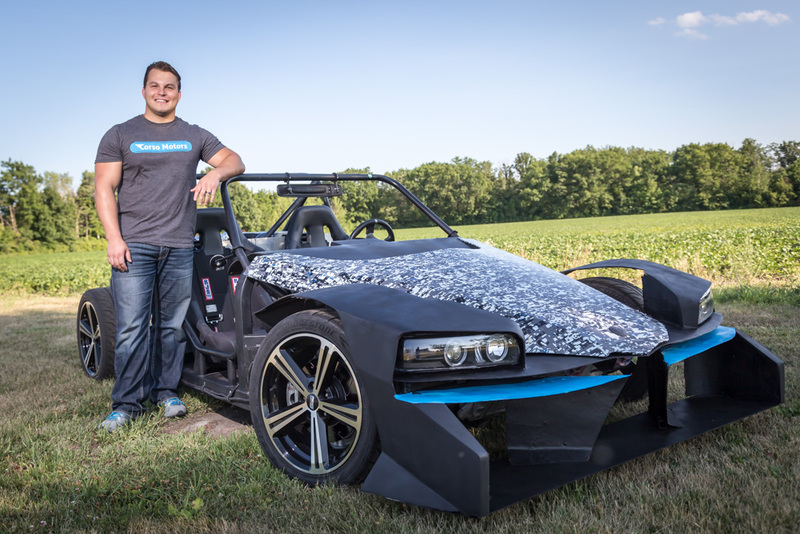 In addition to their regular jobs, the trio have been developing a new, two-passenger custom automobile from the ground-up that promises to deliver a one-of-a-kind driving experience. 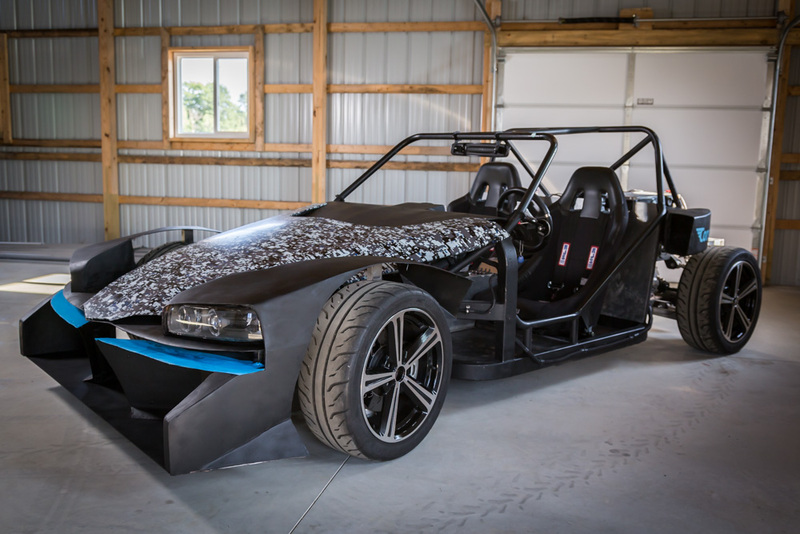 It’s called The Velox, and the prototype is being brought to life through a company Lamson founded called Corso Motors. Judging by the progress the trio has made and reaction when the work-in-progress was displayed in public for the first time, Lamson appears to be getting close to making all that The Velox promises a reality. 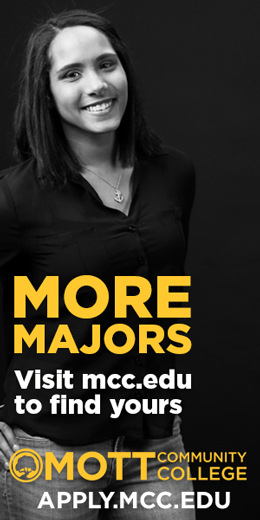 That does not mean, however, that the road to this point has been free of developmental potholes. 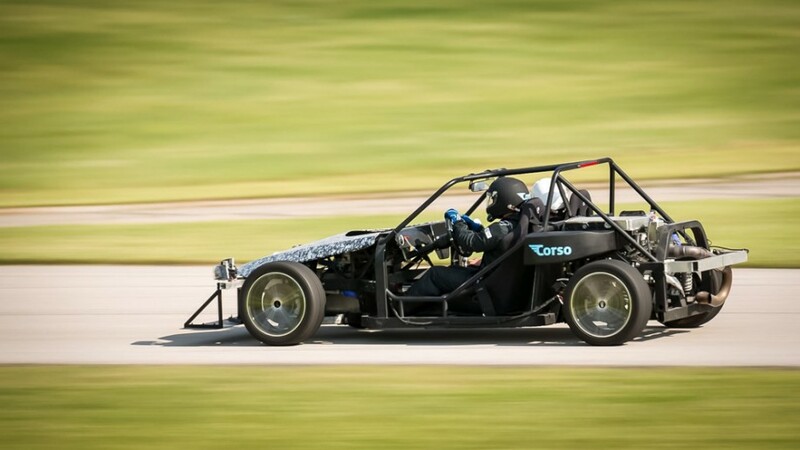 Essentially, The Velox is a two-seat, mid-engine sports car with an engine/transmission combination based on that of a 2010 Chevrolet Cobalt SS and unique custom chassis designed by Kurtis Morris. 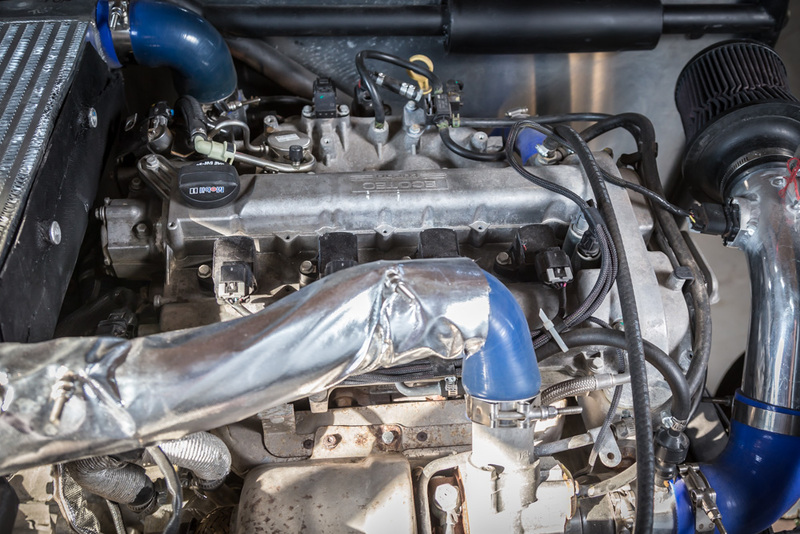 Designed from the inside out around a selected powertrain, The Velox features a five-speed manual transmission and Ecotec two-liter turbo engine with 300 horsepower. It weighs in at roughly 2,000 pounds which should put gas mileage at least 22 miles per gallon city and 30 highway. 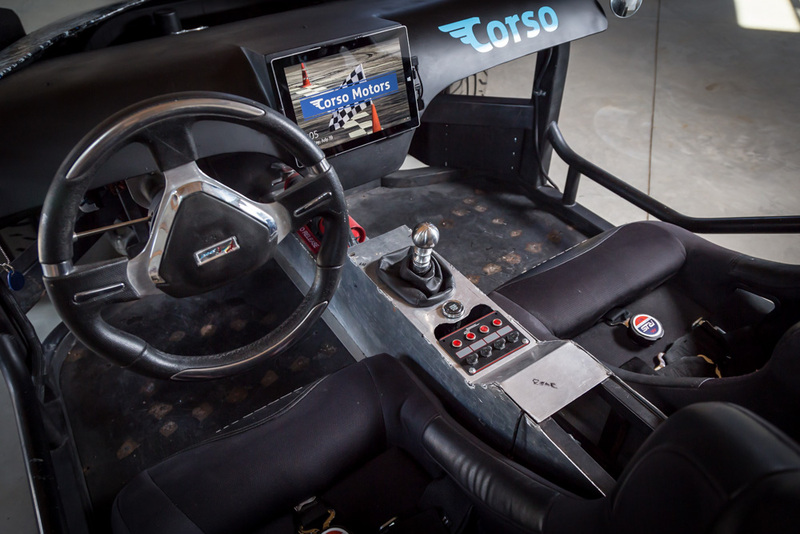 Lamson could not stress enough the importance of having someone with Morris’ skill set to develop a unique, original chassis which took about eight months to build, an example of why the entire process requires a great deal of steadiness and patience. Uhelski handles the building of The Velox brand. 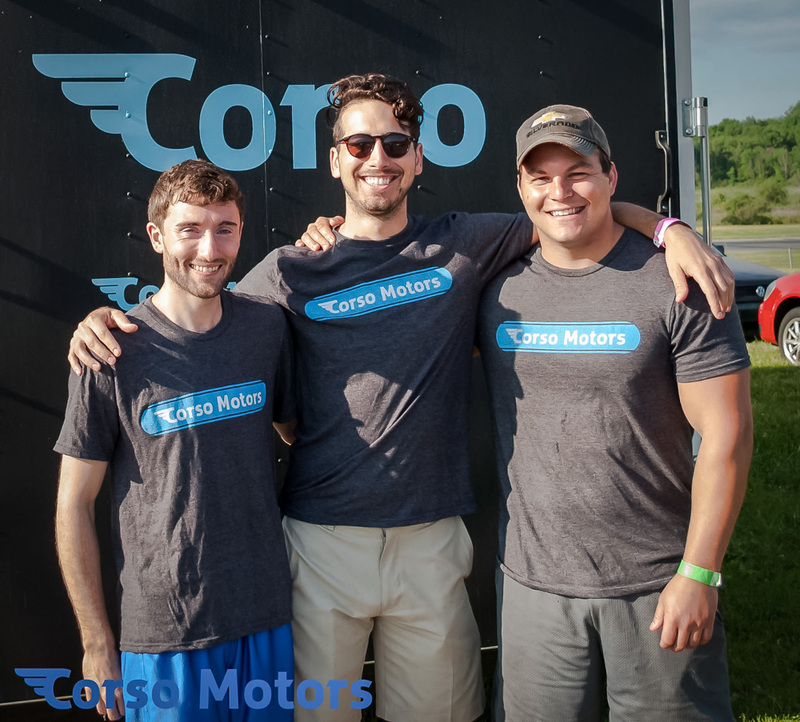 To that end, he does marketing and maintains the Corso Motors web site and social media accounts associated with it. 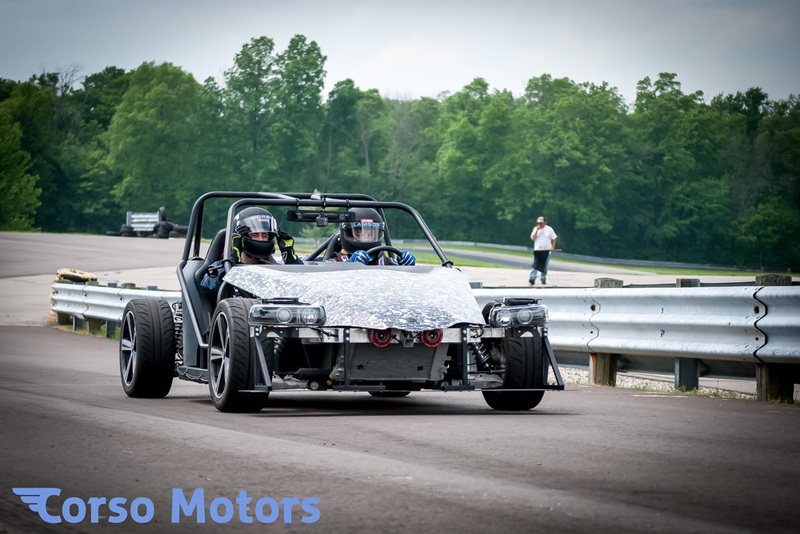 On Memorial Day weekend, the time finally arrived for Lamson and Morris to don helmets and climb into the still-developing Velox with uncovered seats, and show off what it is capable of under race conditions at Grattan Raceway in South Haven. Turns out, The Velox performed very well, says Lamson, through more than two hours of hard track driving for the purpose of validating all mechanical systems and only few tweaks were made as a result. One of those auto enthusiasts took a particular interest in The Velox when it was displayed and driven in Belding, MI at the Gridlife Music and Motorsports Festival at Gingerman Raceway in June, despite the fact that it was parked next to a new Lotus211, one of the world’s leading sports cars. 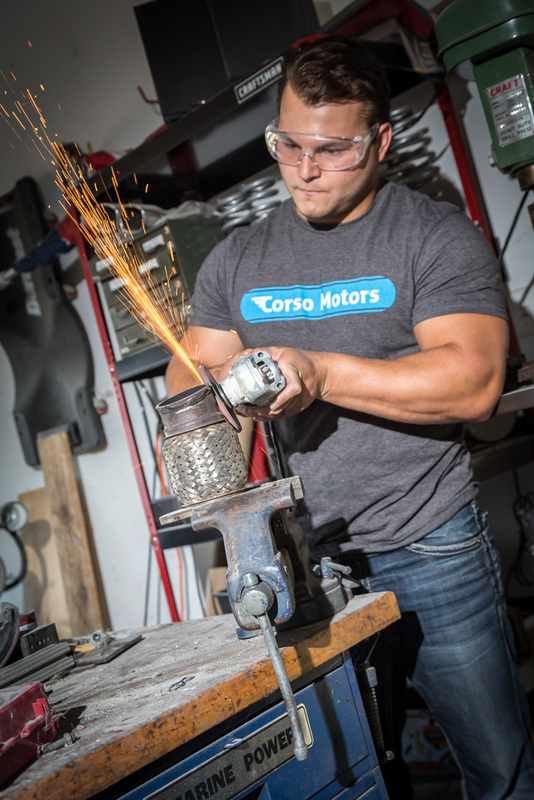 After graduating from Kearsley High School and earning a mechanical engineering degree from Lawrence Tech, Lamson began working for General Motors in 2010 and decided to try the automobile restoration business on his own. The process was still enjoyable for Lamson, but the results were not profitable. Lamson says he already has potential buyers asking about price and hopes to eventually set up a production system on his property to make 8 to 10 models a year. Anyone interested in checking out The Velox will not have to wait long, however. 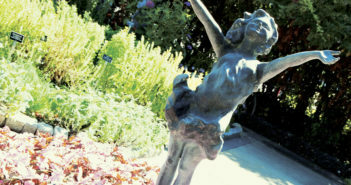 It will be featured at Back to the Bricks in Downtown Flint on August 20.